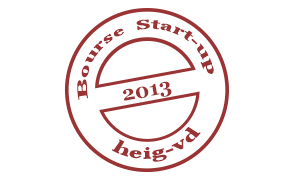 LHS wins the “HEIG-VD Start-up grant 2013”. This prize is awarded by the HEIG-VD, with the support of the FIT, for the best entrepreneurial project of the year presented by a student or employee of the school. LHS won the "Silver Innovation" at the European Mechatronic Award 2017 in Lyon. Lambda Health System was selected in the top 25 Business Plans out of 116 submissions during the Venture.ch award 2016. During, the EPHJ/EMPT/SMT in Palexpo, Geneva, LHS presented the Lambda robot, and the project was nominated in the 6 finalists out of more than 40 application files for the award "Grand prix des exposants".